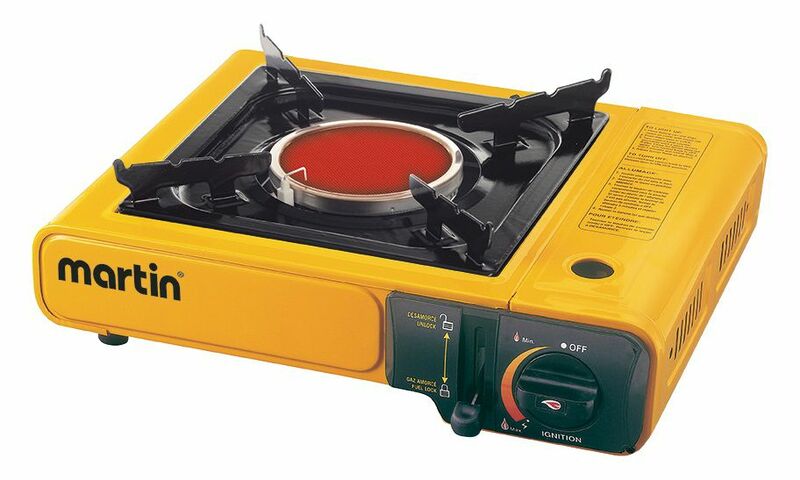 The Martin VT-404 Infrared Butane Stove gives you all the cooking power you'll need, when and where you need it. 6,500BTU's provide all the heat you need. Case included. From breakfast to lunch and dinner, this cast iron piece will have you covered. Simply put your ingredients inside, hold over the campfire and you will have a delicious meal in minutes. Cook anything from biscuits and omelets to sandwiches and fruit pies. Bacon Wrapped Chicken Breast and Chocolate Croissants are just two of the included recipes to help you get started. Also cooks great over hot coals or on a Camp Chef stove. Features Out of the box ready to cook in seconds True Seasoned Finished cast iron Specifications Cast Iron Dimensions: 8" x 4.5" x 2" Overall Length: 28"
VT-404 Infrared Stove The Martin VT-404 Infrared Butane Stove gives you all the cooking power you'll need, when and where you need it. 6,500BTU's provide all the heat you need. Case included.